Shire has announced a $4.2 billion deal to buy US-based ViroPharma in a pact that is designed to bolster the firm’s rare disease portfolio. Top of the shopping list will be ViroPharma’s key drug Cinryze (C1 esterase inhibitor [human]), a preventive injectable treatment for hereditary angioedema (HAE). This will complement nicely Shire’s own Firazyr (icatibant injection), which can be injected when sufferers sense an imminent HAE attack, whilst also removing any competitive threat. Shire expects the addition of Cinryze to its rare disease unit to create a business with revenues of around $2 billion next year. 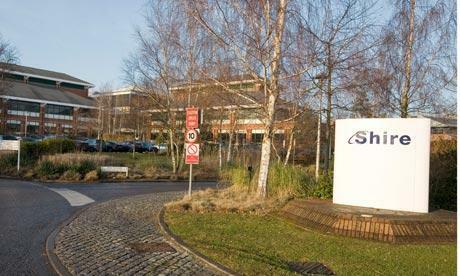 But this has been a bitter-sweet week for Shire and this news comes on the heels of its announcement that it was looking to cut dozens of research jobs from its headquarters in Basingstoke, UK. Both this new deal and the cuts are part of the ‘One Shire’ strategic programme initiated by the firm’s new chief executive Flemming Ornskov, who replaced Angus Russell earlier this year. He added that the firm was also excited by the prospect of being able to offer two complementary treatments - i.e., Firazyr and Cinryze. ViroPharma generated total worldwide net revenues of $428 million in 2012 based primarily on sales of Cinryze. Total worldwide net revenues are forecast by the company to be in the range of $445 million to $465 million in 2013. Vincent Milano, the company’s chief executive, said: “After thoroughly evaluating our strategic options we determined that this transaction is in the best interests of ViroPharma, our shareholders and our patients. “By joining with Shire, ViroPharma will become part of a larger, more diverse biopharmaceutical company and will benefit from Shire’s innovation, scale and global reach.